At least they have an uplifting 404 message: "The page you requested wasn't found at this location. 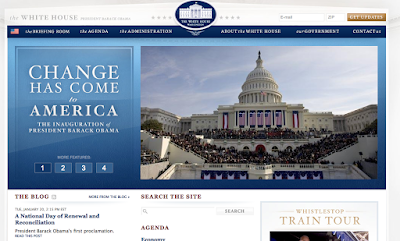 The Obama Administration has created a brand new White House website, and it's possible that the page you were looking for has been moved." @jeff, So I get a page not found with a smile?